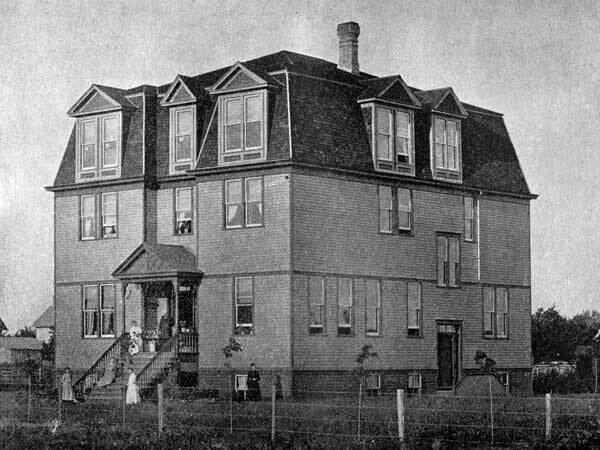 When the Town of Portage la Prairie declared bankrupcy in 1886 and the public school was forced to close, the Reverend B. Franklin of West Prospect Church proposed establishing a private school—Lansdowne College, named for the Governor General of Canada at the time—to fill the educational void. 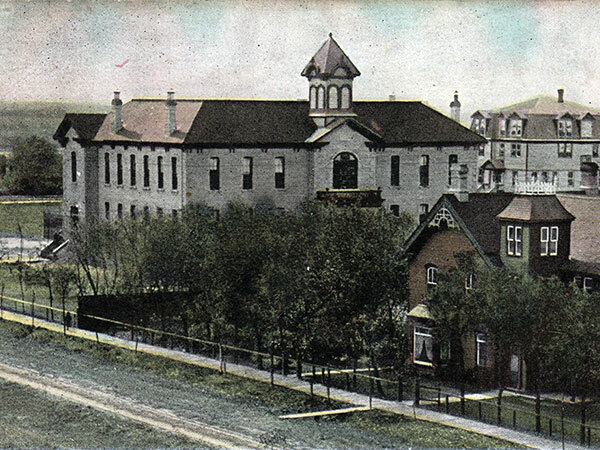 Opened in September 1887, with a teaching staff of five (including Franklin as Principal), the college offered advanced instruction in art, classics, languages, mathematics, music, and commercial arts. In mid-1889, work began on a new building for the college, designed by local architect James A. MacDonald and opened in January 1890 by politician N. F. Davin. Yet, the facility struggled with low enrollment into the first few years of the 1890s, finally closing in late 1892. The building was taken over by its mortgage holder and converted into a residential block, later known as Villa Court. It was demolished in 1980.
by R. B. Hill, Toronto: William Briggs, 1890. “Portage la Prairie,” Manitoba Free Press, 25 July 1889, page 1. “Flattering to the poet of the plains,” Manitoba Free Press, 31 January 1890, page 8. We thank James Kostuchuk and Les Green for providing additional information used here.